Dogs’ body functioning, as well as ours (including, of course, the nervous system), is based on the diet and the nutrients absorbed. In many cases, unpleasant behaviors that are attributed to inefficient training or the dog’s character may stem from the deprivation of a specific nutrient. Behind behaviors, like aggression, there is always a hidden fear, which is the biggest enemy of intelligence. On the contrary, a dog that is growing up in a safe environment, acquires balanced emotion. So, it is very important that your dog’s training is based on developing a sense of trust towards its environment. it should be trained to solve puzzles. Dogs, in our days, do not have the opportunity to sharpen their perceptiveness. They do not prey, they are not free to mate, and they spend a great deal of time just waiting for us to get back home. So, give your dog food for thought. Get a free assessment of your dog’s behavior, today! 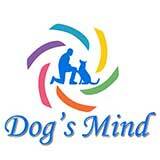 Get informed about our Dog Training Program!